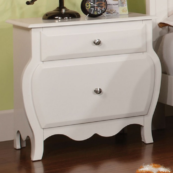 With spacious drawer room, the Hilary 2 Drawer nightstand is the bedside piece that ties together the shabby chic room. 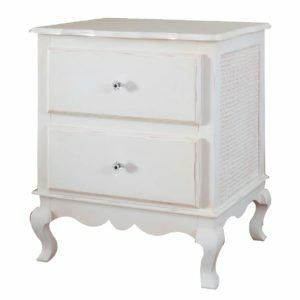 This 2 drawer nightstand is made out of select hardwoods and features hand-carved cabriole legs and a scalloped bottom. All Newport Cottages furniture is made to last for years as an heirloom piece. Starting with solid hardwoods, Newport Cottages bench make their furniture using old-world techniques for a sturdy, enduring construction. 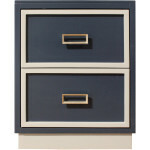 Newport Cottages never uses particle board, MDF or other synthetics that can have high levels of formaldehyde. Newport Cottages uses non-toxic paints which have been tested for over 100 different harmful substances such as lead, mercury, arsenic and other toxins. Made in the USA.